In this week’s episode of God Encounters Today podcast James W. Goll has a special guest and war veteran, Johnathan Stidham, who shares his shocking testimony of being healed from PTSD! What if we saw as Jesus sees? James W. Goll continues in The Seer series and unpacks what John the Beloved caught a glimpse of when he saw Jesus’ eyes in the spirit. Goll also shares a personal story where he encountered Jesus. Q&A can also be found at the end answering questions about the seer realm. In this episode of God Encounters Today podcast, James W. Goll continues his series on the Seer. Goll interviews special guest Charlie Shamp who shares about a prophetic word God revealed to him in the seer realm about “Stadium Christianity”. In this episode of God Encounters Today podcast, James W. Goll continues the Seer podcast series. He recalls some of the promises from the Lord that the 5 Seer Prophets who have passed away in this past 5 years carried, so that we may carry the promises and walk in the lineage, heritage and legacy. In this week’s episode of God Encounters Today podcast, James W. Goll shares about the timing and significance of 5 major Seer Prophets who have graduated to be with the Lord in the past 5 years: Bob Jones, John Paul Jackson, Kim Clement, John Sanford and now Paul Cain. Do you want to understand and walk in Fresh Revelation? In this week’s episode of God Encounters Today podcast, James W. Goll shares about three recent revelatory experiences. You can encounter God in this way too! In this week’s episode of God Encounters Today podcast, James W. Goll has a special guest, Mickey Robinson, who shares about his near-death experience where he visited heaven and overcame multiple terminal conditions. Do you want to understand your dreams? As Genesis 4:8 says, “Interpretations belong to God”, and we can access them! In this week’s episode of God Encounter Today podcast, James W. Goll shares some tips on understanding and interpreting our dreams. In this episode of God Encounters Today podcast James W. Goll interviews a special guest, prophetess Stacey Campbell. She shares about a secret place encounter that helped her overcome one of her greatest fears and shares about her relationship with the Living Word of God. Are you ready for Something New? In this episode of God Encounters Today podcast James W. Goll continues to share prophetic points to help you ponder, reflect and behold Something New as you enter into another new year including topics: Days of the Suddenlies, The Great Divide and Time for the Triplets. What is God saying and wanting to do in this new year? In this episode of God Encounters Today podcast, James W. Goll shares 3 prophetic points for 2019 and beyond including Days of Acceleration, The Great Harvest and The Joining of the Generations! Listen and be encouraged as you head into another new year! 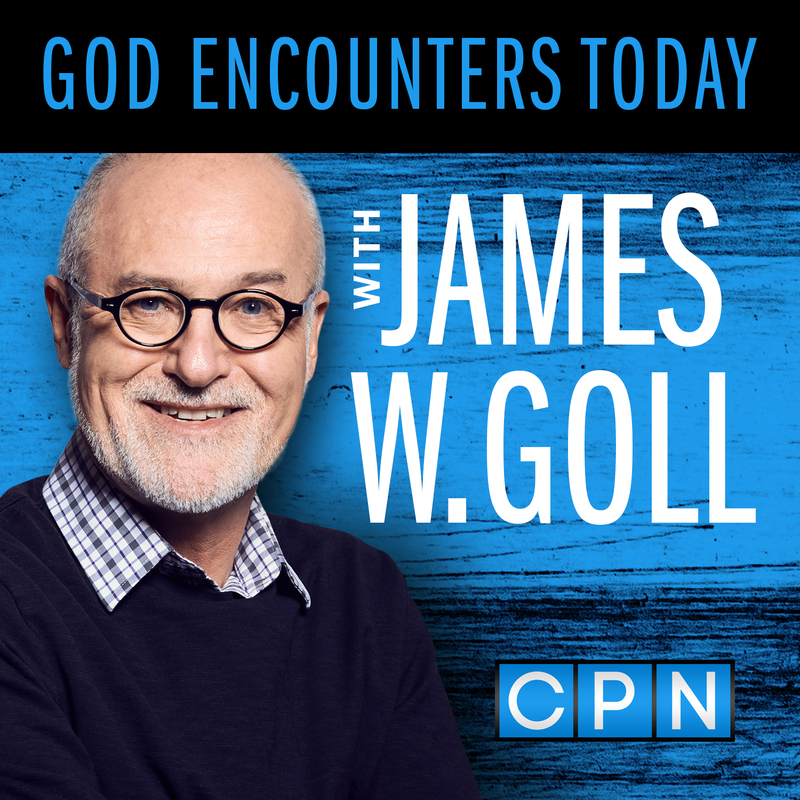 In this episode of God Encounters Today, James W. Goll shares about Angel Encounters from his own life and recalls events where God used angels throughout the bible. James also shares wisdom and answers questions submitted from social media about angels. In this episode of God Encounters Today podcast, James W. Goll has a special guest, Julie Meyer. She is a psalmist, worship leader and first of all, she is a lover of God. Julie shares about a Throne Room Encounter that she had based out of Revelations 4. Listen and you too can encounter God in this way! Ever encountered spiritual warfare? In this episode of God Encounters Today podcast, James W. Goll shares a redemptive interpretation on when we experience spiritual warfare and tells experiences from his own life. What desires has God spoken into your heart? In this episode of God Encounters Today, James W. Goll shares about the very beginnings of his musical album, "Never Alone." Are you believing the Lord for a miracle in your life? In this episode, James W. Goll shares about a fiery healing encounter he had in his own body. He also answers tough questions about healing based from scripture. Listen and be encouraged!